A researcher stands by her arguments against black holes; other scientists are skeptical. “Completely implausible”—a controversial paper exists, but so do black holes! There once was a time when the existence of black holes was very much in doubt. Even Albert Einstein was an early doubter despite the fact that black holes were predicted using his equations of general relativity—he simply believed nature wouldn’t permit them. At best, Einstein thought black holes might be theoretically possible, but they weren’t the sort of thing that would, or even could, ever be observed. Today, that era is long past. Black holes remained theoretical for some time, but they have become a standard feature of astrophysics, a practical reality. While some physical details of black holes are still very much in question, currently a strong scientific consensus exists that black holes are real, and new black holes are regularly discovered. In light of that, things have gotten peculiar recently. Headlines all over the Internet have declared that black holes don’t exist after all—see, for instance, “There are no such thing as black holes“—and some argue their lack of existence has been mathematically proven. Mersini-Houghton is not the first one to claim that black holes don’t exist. Stephen J. Crothers has been claiming to have disproven their existence for quite some time, and even Stephen Hawking has issued a statement that “there are no black holes” (although he didn’t mean that literally). Mersini-Houghton’s claims are even more extraordinary, however. (And we all know what extraordinary claims require.) In order to conclude that black holes don’t exist, she claims to have united general relativity with quantum mechanics, a feat which has been a sort of “holy grail” of modern physics. A unifying theory of this sort has thus far proved elusive despite the best efforts of the physics community. So if Mersini-Houghton’s work is correct, much of physics and astrophysics might need to be rethought. Enlarge / An event horizon, accretion disk, and jets—all standard features of what we’ve though were black holes. Is it time to consign black holes to the dustbin of scientific history, along with the luminiferous aether and the geocentric model of the universe? TL;DR version—no, it isn’t. But it does seem like time to explore what we do know about black holes and to outline how we know they exist. To that end, we spoke to some physicists with expertise in the relevant areas on both the theoretical and the observational side of things. Some of them took a look at Mersini-Houghton’s paper and were happy to respond. These and other physicists have already discussed the issue elsewhere on the Internet (including on their blogs in some cases), raising objections to the work or defending the observational evidence for black holes. We’ll take you through some of their counter-arguments to see why, in the minds of these physicists, at least, the case is pretty strong that black holes do exist. But first… we need to understand the reason black holes supposedly don’t exist. In 1974, Stephen Hawking introduced the concept of Hawking radiation, something black holes can produce despite their definition as objects from which not even light can escape. Thanks to quantum mechanics, unstable particles called ‘virtual particles’ are created at random all the time. A virtual particle consists of two particles that are anti-particles of each other and have a combined energy of zero. In other words: normally, the two particles immediately annihilate each other. But if they form at the event horizon of a black hole, one of the two gets sucked in, while the other, being outside the event horizon, can escape. The escaping particles can carry away some of the black hole’s mass with it. This may seem counter-intuitive, since there’s a particle left inside of the black hole. But nonetheless, the black hole does lose mass. This is because the particle that’s trapped inside can be thought of as having negative energy—instead of adding to the black hole’s mass, it subtracts. Given a long enough time, black holes can evaporate this way provided they’re not taking in more mass than they lose from Hawking radiation. The arXiv paper relies on Hawking radiation starting to appear before the black hole itself has finished forming. Most black holes that we’re familiar with (the stellar-mass ones, anyway) form from a collapsing star. So as the star collapses, Hawking radiation would appear, injecting negative energy into the star’s core, reducing its mass. Mersini-Houghton and her co-author, Harald P. Pfeiffer, wanted to understand what effect this has on the star as it collapses. What they found in their simulations is that the repulsive, anti-gravitational force from the negative energy builds up as the star collapses. Right before the star’s core becomes a black hole, it bounces. Rather than continuing to collapse, the star stops before it gets dense enough to form an event horizon, then it rapidly expands. What happens to the star next is uncertain, since the authors’ simulation consistently breaks down at this point. Regardless, their conclusion about black holes is certain: they can’t exist. They never form in the first place. That conclusion has a wide range of consequences. If stellar-mass black holes—singularities surrounded by event horizons—can’t exist, then it raises the question of what this means for other models involving singularities formed by other mechanisms, such as the supermassive black holes at the center of galaxies. Mersini-Houghton’s work, even if accurate, leaves a massive, gaping question. If black holes really don’t exist, if they’re impossible, then what, exactly, have we been looking at this whole time? Black hole skeptics might be quick to point out that black holes cannot be observed directly, due to their very definition. Black holes don’t reflect any light, they certainly don’t emit any, and any Hawking radiation would be far too weak to be observed, so there’s no way for us to directly observe a black hole. That much is true (although some recent work suggests Hawking radiation might be amplified by the black hole enough to be observable). But despite the difficulty of direct observation, the indirect observational evidence is not ambiguous. We’re looking at something, and if it’s not black holes, it sure looks a lot like them. 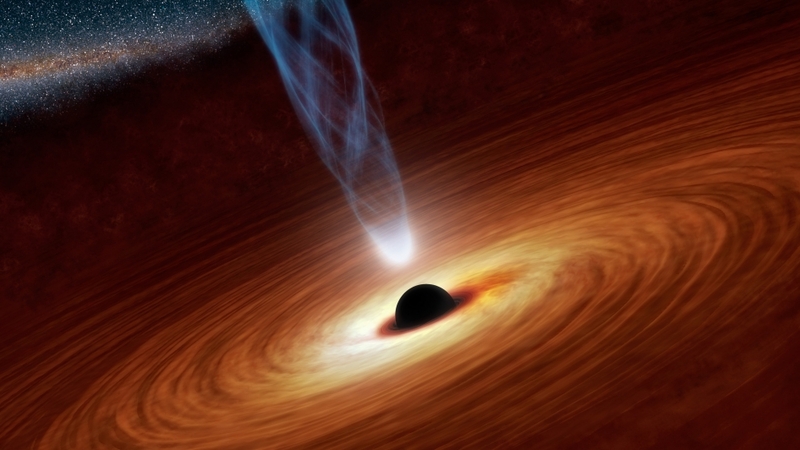 For one thing, black holes are rarely observed in isolation. They tend to have matter falling in, or accreting onto, the black hole, often from a companion star. This matter forms an accretion disk, and those disks are very much observable. As it falls in, matter speeds up, much like an unfortunate boat caught in a whirlpool, swirling down faster and faster as it gets close to the bottom. The swiftly moving matter creates quite a bit of friction, which creates heat—and intense x-ray light, which our telescopes can easily detect. The black hole’s effect on the motion of their companions is also observable. 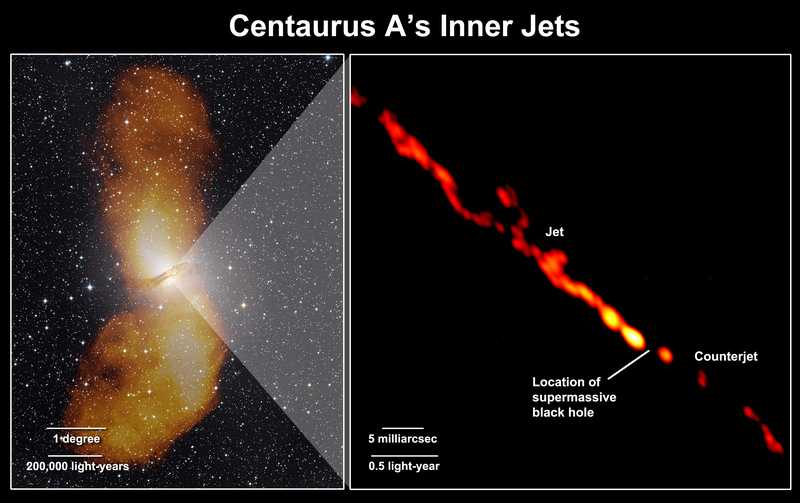 Enlarge / If black holes don’t exist, what are these things we detect ripping gas off the surface of other stars? But how do we know that the objects we’re seeing are really black holes? According to McClintock, the answer is twofold. “The strongest evidence that the compact objects I study are black holes is (1) dynamical evidence (i.e., based on Newton’s Laws) that the masses of these objects exceed three sun masses, and (2) that any compact object (e.g., neutron star, quark star) this massive will collapse to a [black hole] according to [general relativity]. We and others have measured the masses of about two-dozen compact stars with typical values of 10 sun masses,” he explains. In other words, the motions of other objects near the black hole can be observed, such as the black hole’s accretion disk material or a star co-orbiting the black hole. Based on the velocities of those objects, the black hole’s mass can be determined. And once scientists know the object’s mass and its size, they can determine, using general relativity, whether it’s compact enough to be a black hole. It’s pretty hard to argue that any step in this process is wrong. Our understanding of dynamic motions of celestial bodies is incredibly powerful. It’s been honed by studying our own Solar System, where it consistently predicts the motions of the planets and moons in their complex interactions with each other as they orbit the Sun. It works just as effectively everywhere else in the Universe. And general relativity is also rock-solid as theories go. A huge body of evidence confirms its predictions. If general relativity were wrong, GPS systems would constantly get out of sync with their satellites—and they don’t. Given that such strong observational evidence exists for black holes, what can be made of Mersini-Houghton’s work? Even if her methodology has no flaws, how might it be reconciled with these observations? Enlarge / We’re pretty sure jets of material moving at nearly the speed of light require a black hole to power them. Part of the problem is that the authors do not address this issue in their paper. Given that perspective, it’s not clear whether these objects can be experimentally differentiated from true black holes. If some future observation can show that these objects really aren’t black—whatever that would look like—Mersini-Houghton’s work would be vindicated. If observational evidence shows that black holes really do exist, where did Mersini-Houghton and Pfeiffer go wrong? One culprit is negative energy. This is one of the more confusing aspects of Hawking radiation. When the negative Hawking radiation goes inside the black hole, it causes the black hole to lose mass. But that phrase isn’t as straightforward as it sounds. For one thing, the phrase “negative energy” is fairly ambiguous in the first place. If the negative Hawking radiation inside the black hole isn’t like a fluid that puts a gravitationally repulsive force on the black hole, as Mersini-Houghton presents it, then what is it? Hossenfelder also argues that the math shown in the paper isn’t set up correctly. This all goes back to the negative energy problem. Rather than calculating how much mass the star loses in this process and then subtracting it from the star’s original mass, Mersini-Houghton calculates how much negative energy has accumulated from Hawking radiation inside the star and subtracts that. The problem, of course, is whether this is a realistic picture of how negative energy works. William Unruh, a theoretical physicist from the University of British Columbia who was cited by Mersini-Houghton in the paper, had an even harsher take on the authors’ math and reasoning. Another issue is that Mersini-Houghton’s work requires a specific model of something called a firewall. A firewall is a wall of Hawking radiation particles that purportedly forms at the event horizon, where it can prevent new matter from falling in. This contradicts a prediction of general relativity, wherein an observer should be able to pass through the event horizon without noticing they’d passed through anything. This is such a significant problem that it has become known as the “firewall paradox,” and it has no resolution as of yet. Quite a bit of theoretical work has attempted to resolve the problem, including Mersini-Houghton’s, but physicists haven’t reached a consensus on a solution yet. Our own galaxy seems to have a black hole at its center. This model is appealing in some ways. It almost seems to make the Universe ‘make sense’ again. Black holes have arrogantly dared us to figure out what’s going on inside their event horizons. Under Mersini-Houghton’s model, none of that is necessary. General relativity has always worked out perfectly well with quantum mechanics, at least in the case of black holes. It can be incredibly tempting to embrace such a model, which neatly removes some of the most perplexing issues in physics, solving a puzzle by removing it. But that’s all the more reason to investigate this claim with rigor. If her work really reflects the Universe, it’s all the more important for us to find out—by testing it. As a larger scientific point, there’s no reason we should expect that our current theories necessarily work in every region of the Universe. Before Einstein and relativity, Newtonian laws were thought to account for objects moving at any speed. But if those laws of motion are applied to objects moving at a significant fraction of the speed of light, they break down—just like relativity and quantum mechanics break down at the event horizon of a black hole. We had to wait for a more fundamental theory (special relativity) to be developed before successful predictions could be made about speeds previously beyond the reach of our best theories. It could be that event horizons need a similar development before they’ll make sense. Of course, the historical precedent might not apply in this case, but it does show that the Universe doesn’t always conform to our expectations, either intuitive or theoretical. Although it gets rid of firewalls, Mersini-Houghton’s work depends on Hawking’s model of firewalls being correct—which hasn’t been demonstrated. Other physicists favor differing models. Hossenfelder and Koberlein, for example, belong to the camp that argues quantum mechanics doesn’t create a firewall at the event horizon in the first place. A geodesic is the closest thing to a straight line in a curved space. For example, airplanes traveling to a destination due east may follow a curved path, turning north and then back south, rather than traveling straight east to west. Because of the curved surface of the Earth, the geodesic path is shorter than traveling straight. In the case of black holes, the space near the hole is curved due to gravity, and in cases where Hawking radiation forms, the negative particle falling in follows a geodesic in the curved space. In other words, the negative particle is only negative when its total gravitational binding energy involved with being inside the black hole is taken into account. Locally (meaning to anything else inside the black hole), it’s positive and it doesn’t have an anti-gravitational force on its immediate surroundings, according to Hamilton. Therefore it shouldn’t act like it’s modeled in Mersini-Houghton’s work. Another issue is that the paper only addresses stellar-mass black holes. This is problematic because black holes of other masses may form by completely different processes. While the paper seemingly rules out all singularities, it only examines what happens as a star collapses. It’s quite possible this can be extrapolated to other forms of singularity, such as black holes formed by other processes and perhaps even the singularity of the Big Bang. But it’s fair to note the paper doesn’t address them directly. 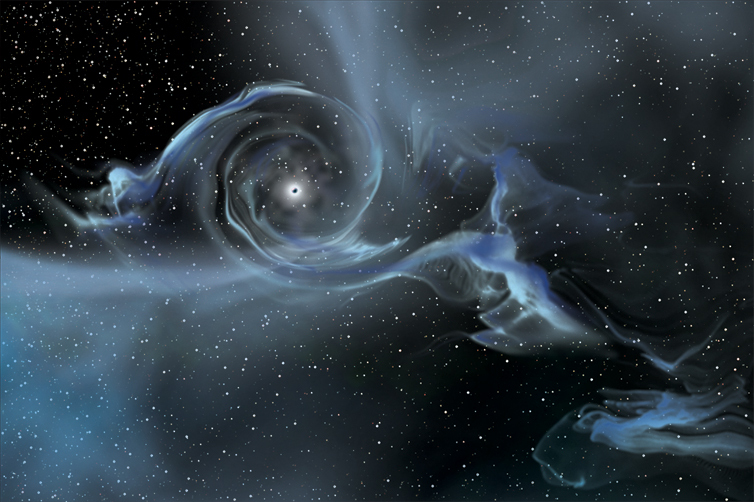 Theoretically, black holes of any mass can exist. You could turn an apple or any other object into a black hole if you could crush it down small enough. Even microscopic black holes could exist. But microscopic black holes have yet to be observed, and there is no known mechanism by which nature could produce them. On the opposite end of the scale are supermassive black holes, which have at least 100,000 solar masses but can contain millions. Supermassive black holes are extremely mysterious objects, because it’s not known how they could have formed. No star could be big enough to have collapsed into them, not even the extremely massive stars in the very early Universe. As a result, Mersini-Houghton’s model wouldn’t apply to them. Supermassive black holes are observed to exist in the core of every galaxy, including the Milky Way. Even tiny dwarves have supermassive black holes. And it’s just as impossible to make the case that these aren’t really black holes. Observations of the Milky Way’s black hole, Sagittarius A*, for example, reveal a number of stars orbiting the object in different trajectories, providing us with a lot of information available about the object’s mass and size. It clearly has an incredible amount of mass, all stuffed inside Uranus’ orbit. Another class of black holes is intermediate black holes, which also lack an explanation. These can be hundreds of solar masses or more. Some proposed explanations are mergers of stellar-mass black holes, or the collapse of primordial material after the Big Bang. Intermediate mass black holes have not yet been conclusively observed, but there are some good candidates. To all these cases, Mersini-Houghton’s work might not apply; even if she’s right, they provide a serious challenge to the proclamation that black holes are impossible. However, if it were true that stellar-mass black holes can’t form, it might imply that a similar mechanism prevents them from forming by other means. Black holes are firmly grounded in a mountain of observational evidence, and the new theoretical work doesn’t present a sufficient reason to abandon them from current models. In science, if there’s a conflict between a model and our observations, it’s the model that needs to be changed, provided the observations hold up to scrutiny. Nonetheless, a new theoretical work that conflicts with observation can raise interesting questions. If the methodology was correct, why does the model fail to predict reality? Searching for answers to questions like that can help to build stronger models, rooting out the flaws in old ones. But that assumes the methodology is correct. Mersini-Houghton’s paper has yet to be peer-reviewed, but we’ve seen other knowledgeable physicists weigh in. And the ones we’ve heard from so far aren’t fans of Mersini-Houghton’s methodology. Of course, this is not an official peer-review process, and it may still be that the larger scientific community will come to validate her work or come closer to reconciling it with observation. Until then, looking to other knowledgeable researchers for an informal review of her work seems like the best available way to get perspective. Edmonds has written previously about the dangers of publicizing one’s results before undergoing the peer review process. While there are advantages to doing so, and while in some cases it can be a good thing, it often has clear negative consequences, as he discusses in the case of the recent BICEP2 story. The bottom line here. It’s fine to wait for peer review, but let’s not abandon black holes just yet.